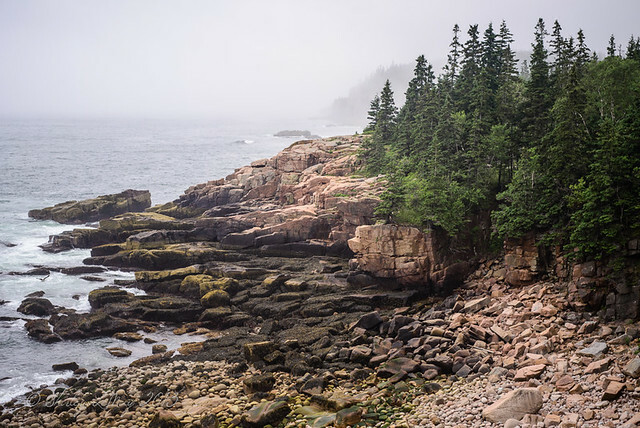 Perhaps the most popular of the hikes in Acadia National Park is the Ocean Path which runs along the east side of Mount Desert Island, from Sand Beach to Otter Point. 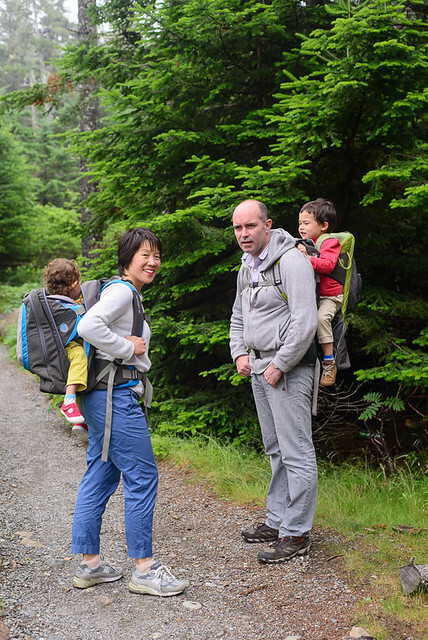 The hike is an easy one, fairly level and over a smooth gravel path, with stunning views of the coast. 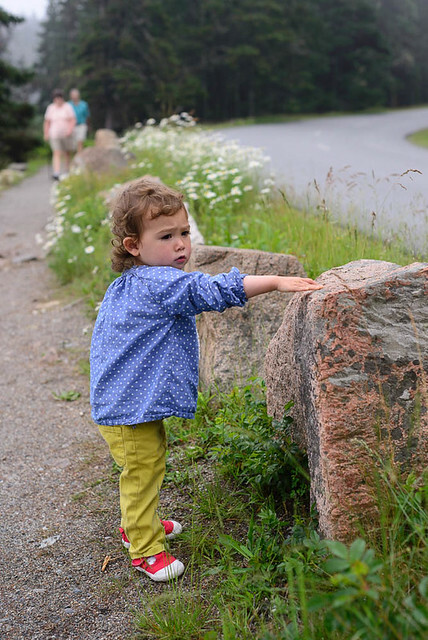 The adventurous can turn this easy hike into a more challenging one by heading off the path and onto the rocks! You can bet Andrew was holding little Felix's hand oh so tightly! They ventured down to check out the white seam of rock / quartz shown by their feet. They didn't go any further than that! The most common approach is from the north, starting at Sand Beach and walking south. We opted to start at Otter point (less crowded parking lot) and hiked north - the trail doesn't loop, so you walk out and back - this way you see all the different views of the coast. Even with the mist and occasional light rain (I thought I was in London again - after all, I was with my sister from the UK! ), the hike was enjoyable and the scenery shrouded with mystery. 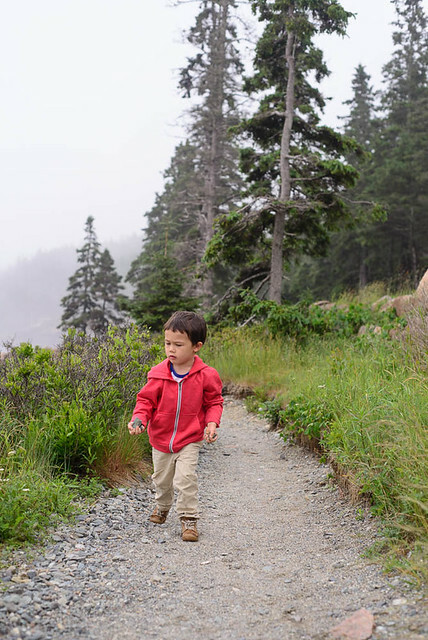 The kids enjoyed their first hike through Acadia National Park! 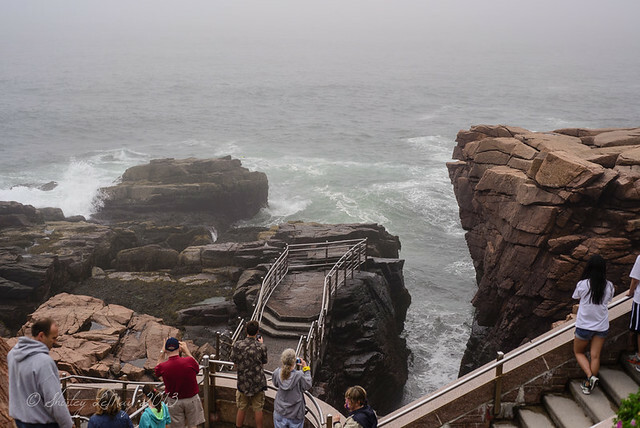 The main destination of this hike is the famous Thunder Hole, which draws its moniker from the sound of the waves crashing into the holed out rock formation. Yes, it sounds like thunder, and at high tide the water shoots out of the hole like a geyser. We didn't time it quite right, but regardless, it was amazing to take in - to witness the power of the sea. Thunder Hole is about the half way point along the two mile long trail. 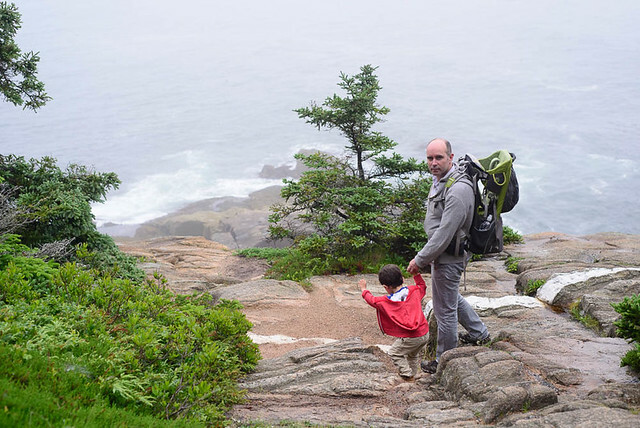 After reaching Thunder Hole, we turned back to Otter point, and the kids decided they would both take the easy way back and have Mummy and Daddy do the hard work. 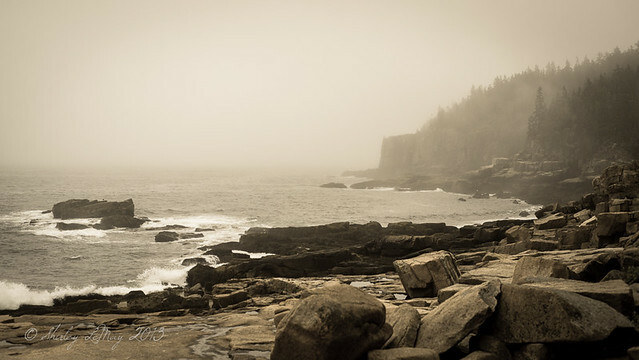 If you are going to visit Acadia National Park the Ocean Path is is a Must Do activity - even in the fog and mist. I visited Bar Harbor several years ago. We went out on a schooner and of course ate some fabulous lobster. Beautiful photos.